Here Come The Men in Black! 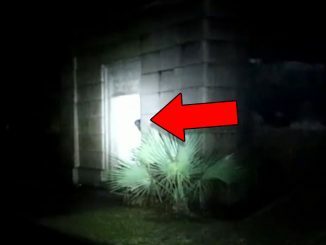 From Men in Black seen after a UFO sighting to a photo of the MIB taken by a man who claims to have been abducted by aliens, we look at real Men in Black sightings caught on camera. 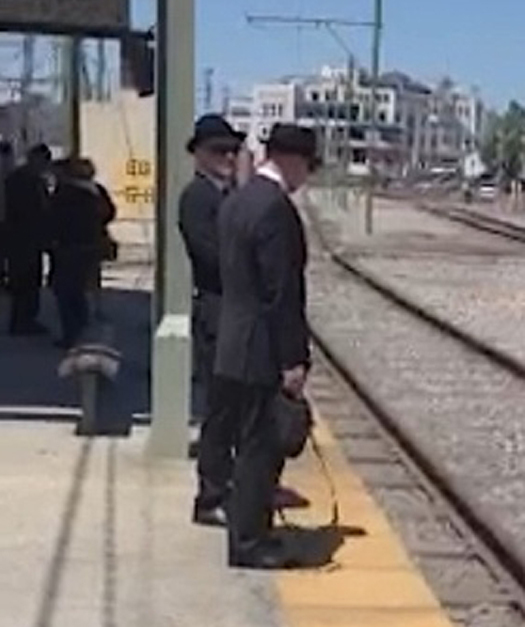 For years, sightings of mysterious Men dressed in black suits have often been reported by those who claim to have seen UFO’s and extraterrestrials. To this day, no one is quite sure who the Men in Black actually are or if they even exist. 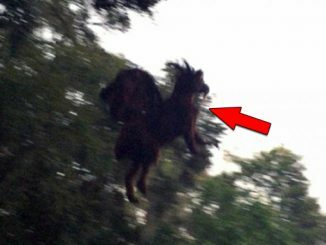 Many believe that they are top secret government agents tasked with documenting strange phenomena and in some cases, harassing and discrediting witnesses. Others think that their often strange appearance and ‘lizard-like’ mannerisms tend to indicate that they might actually be aliens in disguise attempting to ‘persuade’ witnesses from divulging the truth. Over the years, there have been numerous documented encounters with the Men in Black. Many of which share several eerie an unsettling similarities. This photo was reported to have been taken in 1968 by Tim Greene Beckley, a friend of UFO researcher, Jack Robinson and his wife, Mary. The Robinson’s began to suspect something strange was going on at their Jersey City apartment. They would return home to find that their residence appeared to have been searched through despite no signs of a break in. Shortly after, Mary noticed a mysterious man dressed all in black loitering outside. She told her husband and friend, Tim Beckley who decided to drive by the apartment early one morning to see if the man was still there. Sure enough, he was. Beckley returned with a camera and is said to have captured this photograph of the mysterious man. It is thought to be one of the earliest images ever captured of the men in black. However, the photo’s authenticity has been debated for years. Was the man really there to sabotage Jack’s UFO research? Or was he just a stranger lurking in the area? 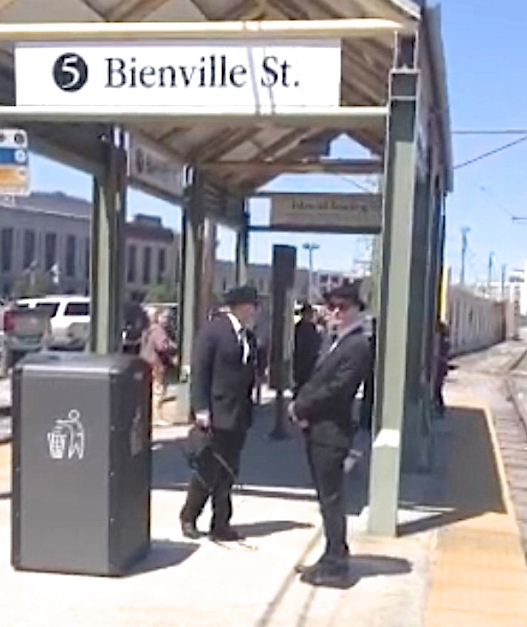 These images were reportedly taken from a video shot on 13th, April, 2014, by a man who was waiting for a streetcar outside the French Quarter in New Orleans, Louisiana. 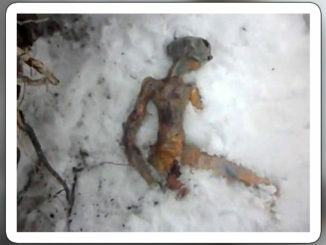 They first appeared on the popular UFO website Out There With Ted as part of an article about the man who captured them. 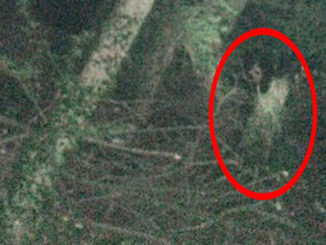 In the article, the man, under the alias of ‘Jack Smith’ claimed to have had several encounters with unusual beings ever since he was a child. Soon, they reached the source of the humming noise. It was a small metallic craft about the size of a van. Standing in front of the craft were several more beings. All except one were similar to the ‘boy’ that was accompanying Jack. The other however, was taller and described by Jack as ‘almost praying mantis-like’ in appearance. Jack became scared and decided to run home. Suddenly, one of the beings aimed the flashlight-like device at him. He was engulfed in a beam of darkness and lost consciousness. Jack awoke bruised and battered some time later and both the craft and strange beings were gone. He noticed a scoop shaped scar on one of his legs – a mark commonly reported by people who claim to have been abducted. Now in his fifties, Jack claims that its not so much the strange encounters but rather the constant run-ins with the men in Black that really ‘irks’ him. This occasion was different however. Jack was with a friend and he also had a camera handy. The pair were waiting by the Bienville Street station in New Orleans when Jack suddenly noticed two mysterious men standing nearby. He quickly grabbed his phone and started recording. Jane also mentioned that the men seemed to be able to communicate with each other without talking. After a long wait, the streetcar arrived. However, the Men in Black did not get in. Instead, they walked across the road and drove away in a shiny black car with foreign licence plates. Shortly after the event, Jack sent the footage to Jane’s cell phone. However, less than 24 hours later, her memory card was mysteriously wiped and the video, along with all her photos were gone. 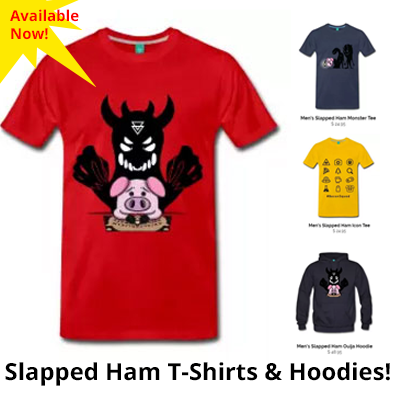 Jack believes that the constant harassment he has received by the Men in Black over the years is their way of showing him that he can be found anywhere at any time. To this day, Jack has refused to release the video claiming that he fears for his life and is afraid of what the Men in Black might do to him if he ever goes public. 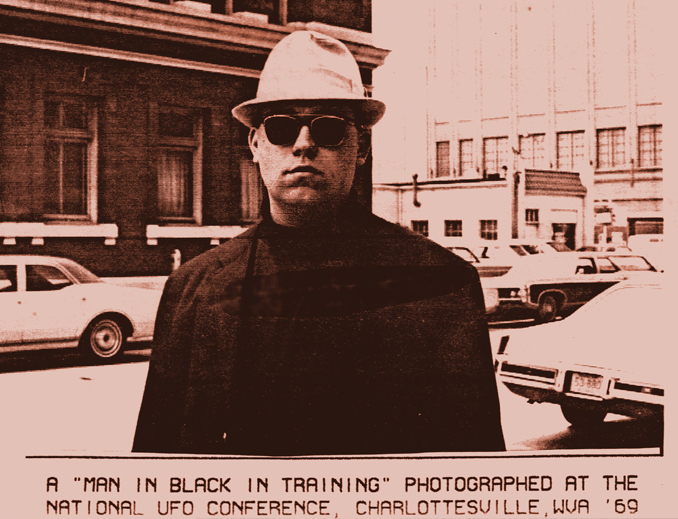 This photo was reportedly taken by UFO researcher, Allen Greenfield outside the 1969 National UFO Conference in Charlottesville, Virginia. While at lunch, Greenfield and several other attendees noticed a strange man dressed in black attempting to listen in on their conversation. The man was described as having a pasty complexion and moved about in a stiff, robotic motion. When Greenfield confronted the man, he quickly exited the building. Greenfield followed the man outside and asked him who he was. He told him that he was actually a Man in Black in training. Greenfield then managed to capture this image before he once again walked away. The man rounded a corner with Greenfield close behind. But as he turned the corner the mysterious man vanished. The photo has been scrutinized over the years with opinions divided about its authenticity. Some believe it to be genuine however others think that the man in black might have simply been a prankster – one looking to have some fun with the attendees of the UFO conference. In October, 2009, two people claimed to have witnessed a large, triangular shaped object hovering above the hotel that they were staying at in Canada. The witnesses reported the event to the authorities and a short time later, two mysterious men dressed in black suits visited the hotel. This video, uploaded to creepypaste’s YouTube channel in October, 2013, is purported to be footage taken from the hotel lobby security camera. If you look closely, it appears that the man on the left is having trouble keeping his feet straight as he walks forward. The Men in Black allegedly asked to speak to the guests that had witnessed the event but were told by staff that they were no longer staying in the hotel. Several of the staff members who spoke to the men described them as looking identical. 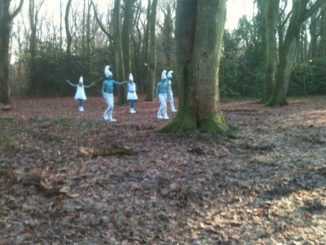 Their skin was very pale and they had no eyebrows or eyelashes. One staff member said that it looked as though both men had fake hair. As if they were wearing wigs to cover the fact that they were bald. They also said that both men had very large, deep blue eyes and that they never blinked once the whole time that they spoke. 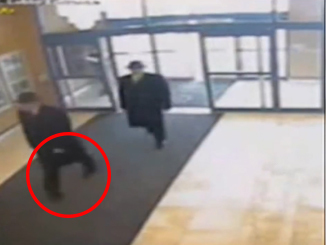 Does this video actually prove the existence of the mysterious Men in Black? Let us know your thoughts in the comments section below. Stella Lansing, a middle-aged housewife from Northampton, Massachusetts, was reported to have had several encounters with the Men in Black throughout her life. Her bizarre tale began in 1961 when she claimed to have seen a bright orb in the sky above her house. The orb hovered for some time before moving towards her at great speed. It then suddenly stopped between her house and the neighbor’s garage. In the years that followed, Lansing claimed to have numerous strange encounters. In 1965, Lansing was on her way to visit a friend who lived nearby when she suddenly noticed the same glowing orb that she had seen four years earlier. A black car that was a few feet ahead of her seemed to be following the light as it traveled alongside the highway. The black car then exited the highway and came to a standstill as the glowing orb shot off into the sky. Although, Lansing was unable to get a look at the occupants, many proponents of her story think that it may very well have been the mysterious Men in Black. Lansing decided to head home and get her 8 mm camera. When she returned, the lights were still flying through the sky and she was joined by a friend who had noticed the lights while driving home from work. A bluish colored orb appeared in the distance and slowly approached the two of them. It stopped about 150 meters away before flying into the sky. Then suddenly, a burst of white light blinded the pair as another object flew into the sky at great speed. Some time later, Lansing purchased a projector that allowed her to slow the footage she had captured down to two frames per second. 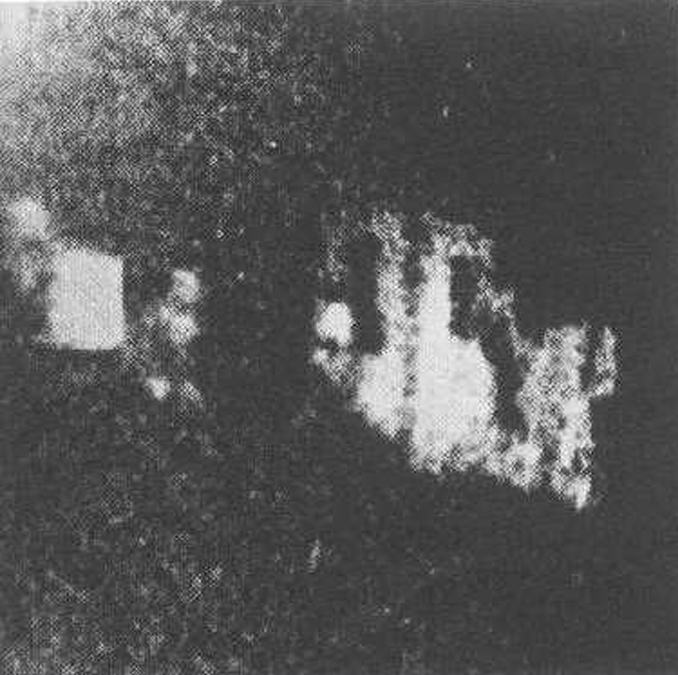 This photo is a still of one of the bright objects that Lansing witnessed that night. It has come to be known as ‘The Occupants’ photo. In 1991, the television program Sightings aired a segment entitled The UFO Report in which several pieces of Lansing’s footage were studied by experts in an attempt to explain the strange phenomena. 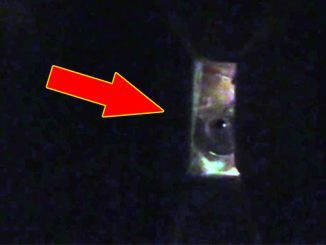 When they transferred the portion of 8mm film that contained the now famous ‘Occupants’ image to video tape, they discovered a mysterious recording that sounds like voices speaking in a strange dialect. The stunned experts were at a loss to explain how Lansing’s silent film could suddenly produce sound. Some time after Lansing captured the footage, she was introduced to Dr. Berthold E. Schwarz, a psychiatrist with a keen interest in UFOs and the paranormal. He performed a series of tests that showed no abnormalities in Lansing’s brain function and agreed to examine the large amounts of video footage and photographs that she had documented over the years. 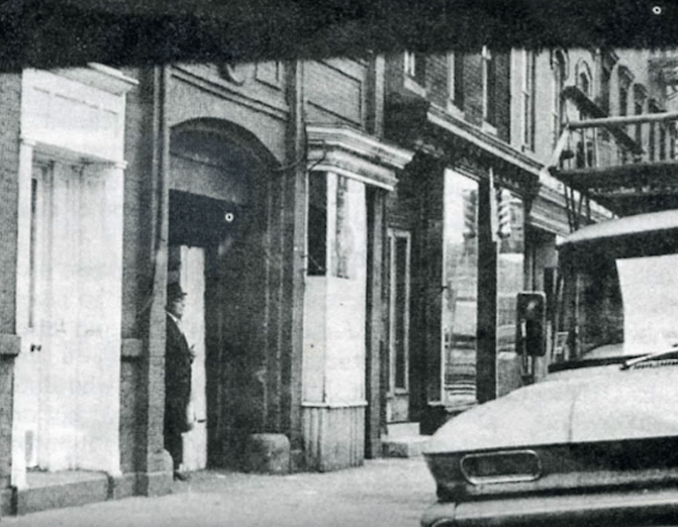 Intrigued by her supposed encounters, Dr. Schwarz decided to accompany Lansing and a friend to the area in Massachusetts where she had first captured the footage of ‘the occupants’. Within minutes, two glowing lights appeared in the sky. They glided silently next to each other, occasionally merging as one then splitting apart once again. The doctor managed to capture this footage of the bizarre event. 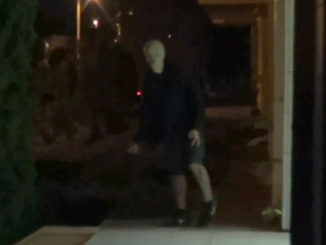 As the trio watched in amazement, they didn’t notice a black car that silently approached them with its headlights off. When it was about 100 feet ahead of them it began flashing its lights in a strange sequence. Frightened, Lansing’s friend urged the others to get into their car. The dark car then started its engine and drove past the trio at great speed. Its headlights were so bright that no one could catch a glimpse of the licence plate as it sped away. 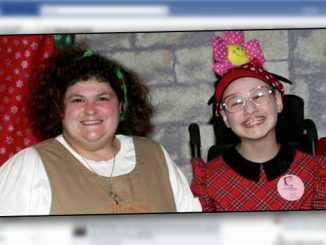 To this day, Lansing’s bizarre encounters and strange videos and photographs have remained for the large part, inexplicable. Some believe that Lansing had many genuine encounters with crafts and beings from another world. Others think that she may have somehow had the unique ability to superimpose imagery from her mind onto her films and photographs. Others still, think that Lansing possessed the ability to somehow interact with a different dimension and then capture those experiences on film. And who were the unseen occupants of the mysterious black cars that Lansing often saw after her strange encounters? Many think that it had to have been the Men in Black.